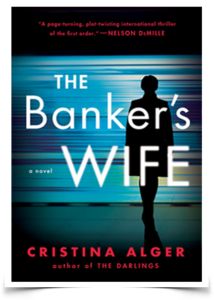 The 230th episode of the Reading and Writing podcast features an interview with Cristina Alger, author of the brand new thriller novel THE BANKER’S WIFE. Click here to subscribe to the Reading & Writing podcast via iTunes. Click here to subscribe to the podcast via email. Click here to listen to the podcast on Soundcloud. Or, click here to listen on Stitcher. FYI – my favorite iPhone app for listening to podcasts is Overcast. Jeff Rutherford is co-founder of APPetite PR. You can follow him at Google+.